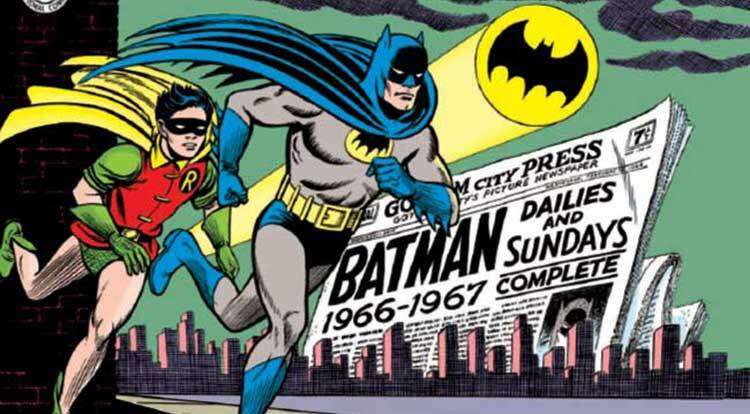 What a fun collection of vintage comics featuring everyone’s favorite dynamic duo! It’s a trip into the cheesy one-liner past of Batman’s late 1960s appearance in newspapers. This collection begins with a wonderfully detailed rundown of the history by Joe Desris, and is enlightening to read just before plunging into the series of snippet-length strips. For all its vintage kitsch, this volume is a pleasure to read, and certainly anyone who collects Batman should have this in their library, even if they prefer the dark Nolan variety of the Caped Crusader. It’s a funny, refreshing collection that is a nice reminder of where Batman was before his gritty reboot. Bottom Line: This collection is highly recommended, old chum. We’re now on issue #3 of our adventure with Jack in Ukraine, and things are really starting to heat up. The Russian mob is after him and his girlfriend Sofiya’s brother (Petro). In the last issue Jack was able to save Petro’s family, but in this issue we see that Sofiya has been kidnapped by the mobsters, and they are now looking for an exchange: Sofiya’s life for Jack. Now Jack has to find a way to save her. SUPER SPOILER TIME! STOP READING IF YOU WANT TO STAY SURPRISED. Everything seems pretty straightforward up until this point. Jack needs to save his girlfriend, plus the CIA is still after him (but finally starting to wonder if there’s more going on than they realize). The big twists come at the end. One is that while Jack is gearing up to meet the Russians, his girlfriend manages to escape in a scene I imagine would have been pretty badass in the tv series. So Jack is walking into what is probably a trap right now, and doesn’t even have to. Hopefully Sofiya can contact him before it’s too late. Oh, and he also has to watch out for the CIA because Petro’s kid has just called in with information on his whereabouts. Pretty much Jack is in all kinds of trouble, but it’s not like that is anything new. Will he be able to handle the Russian mob and the CIA without getting caught (or worse)? We’ll have to wait to find out. Personally I hope the CIA shows up at Jack’s meet-up with the mob and ultimately ends up helping him escape by accident. Don’t worry, I’ll be sure to let you know how right or wrong I was as we continue this adventure with our hero: Jack Bauer. The evil, murderous Dodge has settled himself in to little Bode Locke’s body and succeeded in getting his hands on the long sought after Omega key. The “Last Dance” has begun and it’s ugly. Bode/Dodge is headed to the black door to welcome his terrible, alien friends to this world and he won’t let anyone stand in his way, starting with poor Nina Locke. While darkness is falling over the Locke house, Tyler and Kinsey are enjoying prom with their friends. Tyler accepts what he can get from the woman he loves and comes to terms with the tragedy of being in love in high school. Kinsey revels in the unique qualities of her closest friends and as the night comes to a close, chooses the after party over home. Everyone is headed for the caves, where the final party of the year is just beginning, in more ways than the Locke family realizes. If you’ve been reading Locke & Key, by now, if you have a heart, you should be desperate to see this family come out on top. At the least see them stop hurting. The Lockes have lost so much and struggled so hard to keep their family whole, it kills me to watch them be defeated by the weasley, arrogant Dodge. And as much as I really, really hate to see Locke & Key come to an end, the suspense of how it will all end is becoming unbearable. Oh please, please let the Locke family stop the demons. They deserve that much. Womanthology, if you haven’t already heard, is a large group of all female creators who put together a huge anthology of work and funded the publication through Kickstarter last year. The fundraising and the book were a huge success, shining a spotlight on many talented ladies in the comics industry, at all levels of accomplishment. After the success if the original anthology, IDW has decide to support a new 5 issue series from Womanthology, starting with Space! Womanthology: Space offers five short stories from industry talents such as Bonnie Burton, Rachel Deering, Ming Doyle and Alison Ross, just to name a few. Some of these stories I liked better than others, but they were all well thought out and creative. Since each one is very short, I don’t want to say too much in the way of spoilers here, but I will touch lightly on each. “Waiting for Mr. Roboto” is a cute take on the ‘searching for Mr. Right’ theme and takes place in a space diner. The characters are all either alien or robot. Trixie is a bored waitress hoping for something new and exiting to walk in the door. This was probably one of my favorite stories, simply because it’s easy and light hearted, the artwork simple and clean. “Dead Again” is a creepy ghost story taking place on a lonely ship, just one man left to keep it afloat. He made a mistake one day and that mistake hasn’t let him rest ever since. I also enjoyed this one for it’s spooky, sci-fi vibe and nicely colored and textured art. “Scaling Heaven” follows the efforts of American and Chinese astronauts to beat each other to the moon. The art of this story is soft and flowy, layered nicely; I really liked this particular style. I will say, however, the story itself was not my favorite. It just felt a little disjointed and open ended. “Princess Plutonia” reads and looks like a silver age comic, very vintage and brightly colored, the story full of fantasy alien names and space creatures battling for survival and love. It’s a super short but entertaining little adventure. The final story is called “Space Girls” and it’s presented in a web comic style, all black and white, very simplistic. Sort of a silly portrayal of an all female spaceship that encounters a very special sort of alien presence while exploring new planets. There’s not much to say about this one, it’s basic, cartoonish and should make you smile. All in all, Womanthology: Space is a nice little collection of tales of space exploration, by a mixed pot of creative women making their names in the comic industry. The first Womanthology book was created to benefit a charity called Global Giving Foundation. The new series of books are being created to get some exposure and creative props to the many skilled women in the comics industry. Regardless of the quality and enjoyment you get from these stories, one of those should be reason enough to support Womanthology. It’s another two-fer review, readers! If you are a regular reader, you’ll know I am already an Axe Cop fan. President of the World delivers all the strange, fresh fun and weirdness that makes Axe Cop so entertaining. It’s interesting, though–remember when I interviewed Ethan Nicholle, and asked him what he predicted would change about Axe Cop once his little brother starts getting older? I noticed two things right away about President of the World that are significantly different than older Axe Cop issues: one is, Axe Cop actually has a female best friend (she’s “one of the only girls he [does] not think of as dumb”). And she’s pretty cool, too–though she appears so briefly in this story, I’d like to see more of what the Water Queen can do. The other most significant difference in this recent Axe Cop might just be me, but it strikes me that this issue is much more violent than previous stories. It’s, well…kind of dark in some places. The bad guys really are working with complex psychology, and there’s lots of mass devastation, too. This is a good thing–I think the more Axe Cop evolves, the more compelling it will continue to be. Also, it’s really cool to have Axe Cop in color. Wil Wheaton is right when he shares memories of the future that Star Trek TNG is quite talk-y. This could make for a very static, text-heavy comic, even with the eccentric action of the Doctor thrown in. However, the almost-Impressionist style of art in this comic makes for much emotion and movement in every frame, even just in discussion scenes. The painterly style with its rich jewel-toned color and broad brush strokes is lovely to look at. About the premise: does the idea of the Borg and the Cybermen teaming up terrify the bejeezus out of you as much as it does me? Also: duh, of course Guinan and the Doctor are sort of a breed alike. Actually, I’m now convinced Guinan is actually a Time Lady. This issue is sort of a detective story, in that the crew and company are investigating what happened down on a planet between the inhabitants, the Borg and the Cybermen. So we do the classic away team and go investigate. It’s got the Star Trek and the Doctor Who tropes I want as a reader, along with the novelty of the mashup, and the story rolls along like a good episode of either. I found myself hoping Amy’s red hair didn’t make her a redshirt. Really, when I first heard that they were going to do a comics mashup with Dr. Who and Star Trek, I thought, “Why hasn’t that happened before?” This is delivering. This week the Locke & Key team gives us a little bonus, stand alone story called Grindhouse, which tells yet another utterly creepy tale of some of Keyhouse’s earlier occupants. It’s a violent tale of a Canadian trio of gangsters pulling off their grand finale of heists, robbing some rich resort patrons and then planning to hide out on an exclusive island and enjoy their new wealth. In order to pull off their escape, one of the gangsters suggests they use the boat launch owned by a wealthy family who occupy an isolated mansion. Unfortunately for the brutal group, they chose the wrong family to victimize, and the wrong mansion to hide in. Keyhouse is not a safe haven for those who are not invited as guests. The art style is very Silver Age, a change of look for Gabriel Rodriguez, but it works well for the story. If you’re a fan of Locke & Key already, which I am, Grindhouse is a special treat. The book also includes a very detailed “Guide to Keyhouse”, with notes and locations of each room and the secret rooms contained within them. As Joe Hill explains, the house has been continuously added on to and more developed through the various story lines of Locke & Key, and special attention was always paid to an accurate representation of the architecture in each story. If you’ve been keeping up with Locke & Key then you already know these books are top notch, and Grindhouse is no different. It’s quality writing, great art and some of the most creative stuff on the comics market right now. If you aren’t familiar with Locke & Key, what the hell are you waiting for? There are multiple books out there, I suggest you get to reading them right away. Definitely required for any self respecting comic fan, especially if you enjoy your comics with a healthy dose of creep factor. Locke & Key: Grindhouse is available this week from IDW Publishing.